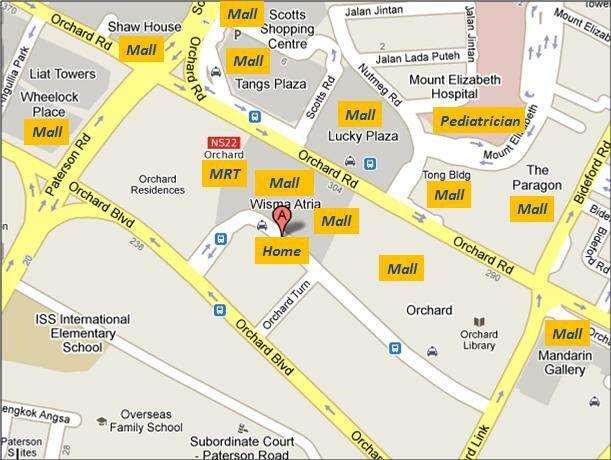 A local friend in Singapore once told us that Singapore is about M&Ms - malls and movies. These are certainly good ways to escape the heat. We spent a lot of time at the apartment establishing Jackson's sleep and play routine, but we did manage to get out of the house every once in a while. Our friends Jameson and Katie visited us in Singapore. Here we are in front of the merlion statue. Luckily, the scorpion didn't bite him. James and Jameson also checked out the new casino and were disappointed. It took a long time for them to first find the casino, then they had to put on pants to enter the place. Once inside, there was a long wait at each gambling pit and there were no free drinks. Total fail! Really cute block in the Arab neighborhood. Most of Arab street are stores selling beautiful fabrics and buttons. The night safari was an incredible experience. We saw animals from huge hippos to giraffes to the sleeping leopard below. Yu Sheng - Chinese prosperity salad we enjoyed for the Lunar New Year. We loved going to hawker stalls for delicious and cheap food. Singapore is famous for its chili crab and black pepper crab. I was always too eager to dig into the chili crab, so these photos are only of the steamed crab. Even Jackson wanted a piece of this monstrous crab claw.